Ottawa Humane Society: Thank you volunteers. Thank you Helen. Thank you volunteers. Thank you Helen. Helen Keller (1880–1968) was an American author, political activist and humanitarian. 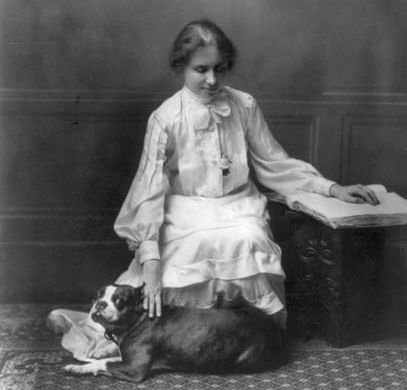 She was the first deaf-blind person to earn a bachelor of arts degree. Her story was shared through her autobiography and the stage play and movie based on it. She is an idol to many deaf people in the world and considered among the greatest people of the 20th century to many others, including me. "I am only one, but I am still one. I cannot do everything, but still I can do something. And because I cannot do everything I will not refuse to do the something that I can do." Thank you OHS volunteers. And thank you Helen.